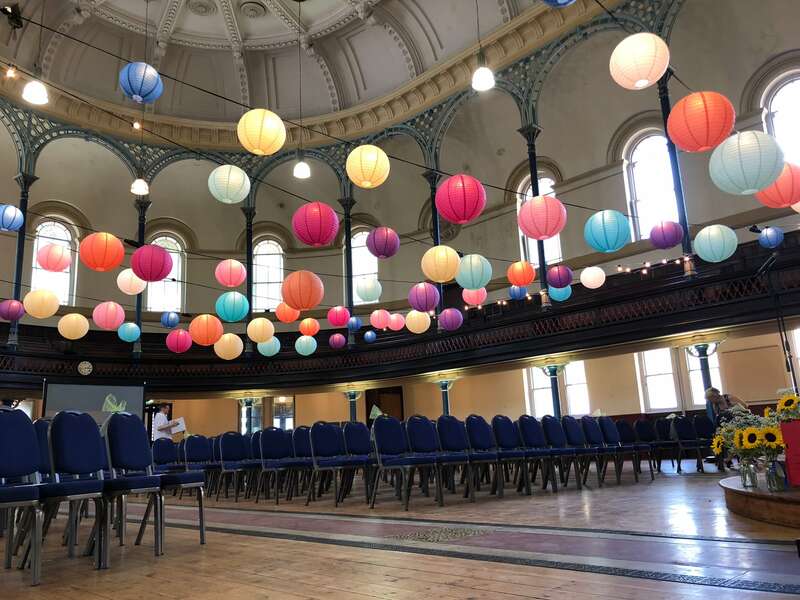 Festoon Lighting is a stunning way to create a magical atmosphere for any event. Be it your wedding, garden or street party; these string of bright bulbs will look beautiful regardless of the occasion. String them from rooftops, trees and posts; our festoon cable is rubber black and comes in 10m segments with one bulb every metre (other spacing available) But do not worry, the bulbs and cable are fully IP rated (waterproof) and we’ll give you a few spare bulbs – just in case. We supply you with the natural warm white bulbs but if you fancy being different various coloured bulbs can be provided. We can also provide poles & stands so you do not need to place the cable in trees or fences. With this we can create walkways in any area you desire. We can also supply various types, colours and sizes of Chinese lanterns. These can create stunning effects when placed over bulbs. Large chinese hanging lanterns can attach over festoon lamps, smaller ones have to be hung from the cable. The festoons can be dimmed using our dimmer packs, allowing for complete control over intensity. We can supply cable with lamps 1m apart or 0.5m apart. 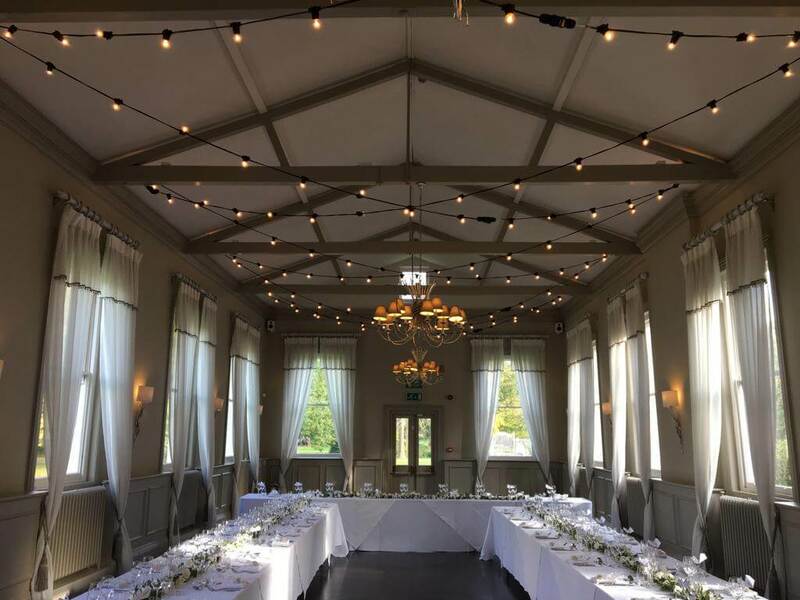 Festoon lighting at weddings looks more spectacular than traditional venues with standard marque lighting.